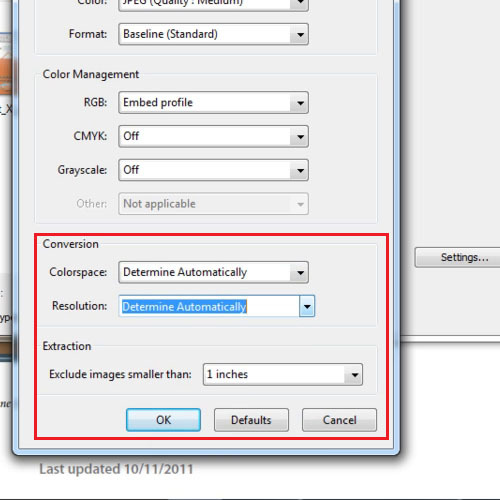 When you export images from Acrobat X, the resolution of the image does not change. In your Acrobat X files there may be hundreds of images and you can extract all of them at once to use them in some other program or for any other use. To extract an image from PDF you have a button with which all the images get exported at once. In this tutorial we will show you how to extract pictures from PDF. 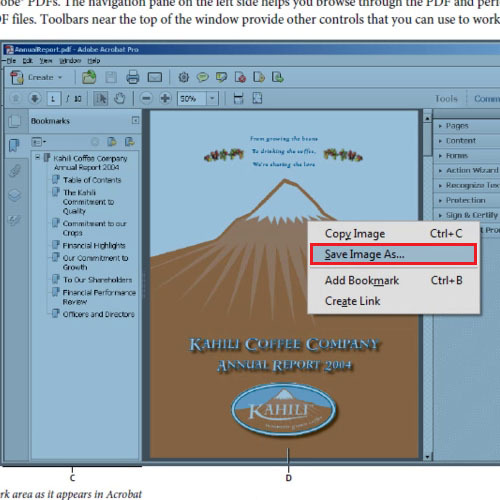 Most people think that when you save an image from Acrobat the resolution of the image changes however this is not the case and we can see that by going to the “print production” panel. 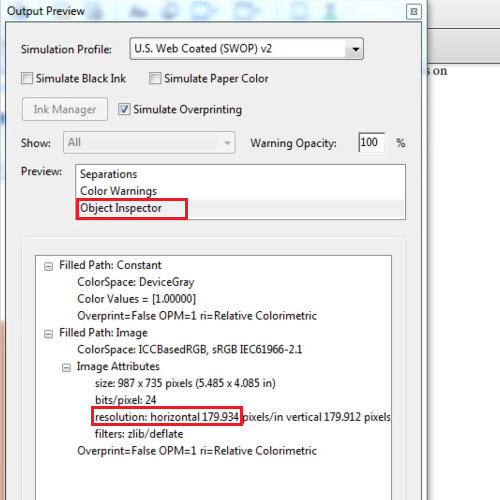 Click on “output preview”, select “object inspector” and then click on the image to see the resolution. This image has a resolution of 179. As you select the “contacts” option from the “application parts” button, a list of tables, queries, forms and reports will appear. As these objects are predefined, we will not use all of them instead we will be focusing on “table”. We will start by deleting the objects that we do not require. To delete all the unwanted items at once, click on one item while holding the shift key down, click on the last item and press the “delete” key from your keyboard. Close the box, right click on the image and save it. You can select any format for saving it. 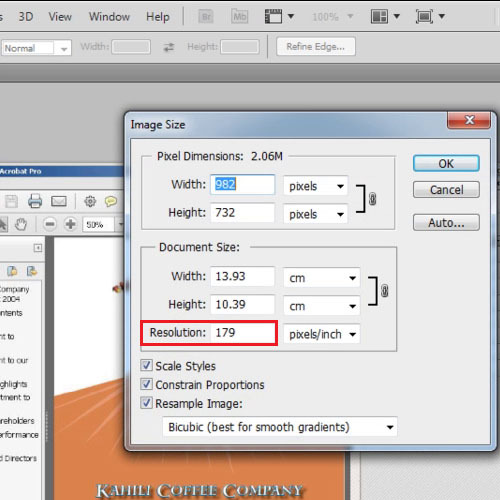 Open the image in any program, like Adobe Photoshop and check its resolution. To extract pictures from PDF and export all of the images at once, go to the “menu” button and select the “document processing” panel. From that panel click on the “export all images” option and then click on “settings”. It will allow you to set the color of the images as well as their resolutions. Save the images and then later you can access them from the folder in which you saved them. 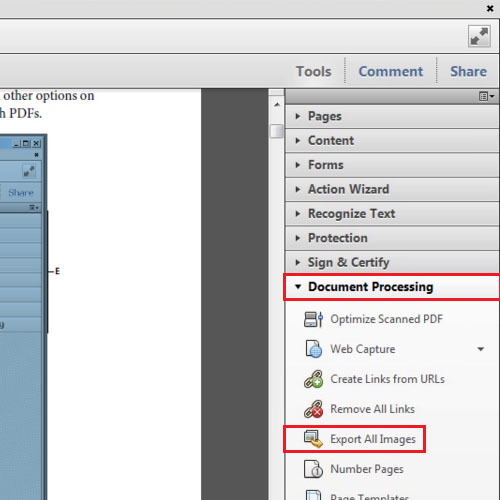 This is how you can extract an image form PDF.